Would I buy from them again: as of April 2011, unknown, because of unpredictable site closures and the chemist leaving the company in late February 2011. The eyeshadows are sometimes shimmers, often sparkles, occasionally - rarely - mattes. Many are duochromes; and the Arcane Magic colors are incredibly colorchanging...if you apply it using their Pixie Epoxy product. Even if you just pat it over your favorite primer, though, you can get some spectacular effects (similar to the colorshifting seen in the Interplanetary Micas.) They also sell blushes, foundation, primers, finishing and highlight powders, lip glosses, and a product called Pixie Epoxy which is kind of a sealant and sort of a base but definitely not a primer. I personally don't love websites with all-black backgrounds. I feel like I have a more difficult time judging colors, even if the eyeshadow's color photo is on a white countertop/paper/sheet. This is a subjective issue for me, and doesn't influence how I'll feel about any products that I may buy from a site with a black background. I had problems making my initial purchases from Morgana for the same reason - and I still vastly prefer to look at swatches rather than just deciding what to buy based on photos from her site. Getting the all-black background issue aired and then set aside, the site is well organized and easy to read, with either white or cyan (front page, menu items) font on the dark background. If you log in to the site, you can build a wishlist of the products you want - which is nice, and far more useful than "dead-tree" wishlists written on strips of paper. Not all freestanding ecommerce sites offer this functionality, especially not at the indie level - though I wish they did. Fyrinnae uses Paypal as their payment processor, so while I've occasionally had problems checking out, I lay that at Paypal's doorstep rather than Fyrinnae's. 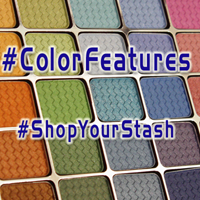 I do wish that there was a site search - occasionally I've wanted to find a particular color, and wasn't sure if it was a regular eyeshadow or an Arcane Magic shadow. The photos are crisp and fairly clear, though the ones for the latest collection - the Dia de Los Muertos - are of a different size and composition than the majority of other shadow photos. Instead of showing a small pile of the shadow on a white background, they show a "detail" shot of the shadow which fills the whole image. Again, this takes away from my ability to judge the color, and I have to go look at blogger photos and swatches to see something that I'm more comfortable with using as a basis for purchasing. While I do like that many of the colors include wet and dry swatch photos, again I prefer to look at other bloggers' photos to get a better judgment. The individual product pages, at least for the shadows and blushes, don't list that specific product's ingredients. Nor are there product quantities listed on the page, just "Sample - 1/3 tsp in jar" or "Full size (5 gram jar)" - or often just "Full size". On their FAQ page, they list that eyeshadows are approximately 3 grams...but this information is nowhere on the individual product pages. I very much wish that the quantities were listed on the product pages, and I wish they were listed in the same measurement units - both as to how many grams, rather than how many teaspoons. I know that it's common practice for many US-based indie companies to list a teaspoon-quantity for samples, and a gram-quantity for full-size products...but it's aggravating. I prefer not to have to dig around for information about a product if I'm trying to decide to buy that product. I have ordered from Fyrinnae half a dozen times. However, most of those orders were during their "closed" periods in March 2011. (I'd get on when the site would be up for a few hours here and a few hours there, building my wishlist so that when they'd open again, I'd be ready to go. Finally, I placed my order, figuring that it could take months for the company to stabilize, even longer. Might as well buy while I could.) I can't honestly remember if Fyrinnae's fullsize jars normally are outer-shrinkwrap-sealed or not. I do know that the one full-size jar of City Lights Quebec is not outer-sealed, but it does have a sifter with a seal. The full-size jars I got with my later orders had no seal of any kind. They were all packed in wrapping paper, which was then wrapped inside a plastic bag...which was then rolled in corrugated cardboard...which was placed inside a bubble-wrap plastic envelope. These jars were going NOWHERE. (And it was considerably less hassle to unwrap at the other end than a plastic bag that's been mummified with tape, as The SheSpace used to send my larger orders in an attempt to stop in-transit product spillage.) The notice on the front of Fyrinnae's site cautioned about 20 to 28 day order processing times; but all of my orders were processed, packed, and shipped within eight to twelve calendar days. I was quite pleasantly surprised. (And because I am so geographically close to them - they're at the south end of a metro area, I'm at the north edge of the same metro area - mailing/transit time is two to three business days.) I can remember my earlier Fyrinnae orders taking a little while to process, though; and according to several other longer-term Fyrinnae customers I've spoken with, they've often posted notices for longer (10-15 day) order turnaround times. Again, from speaking with longer-time customers of Fyrinnae, the company has operated on this closed-again-opened-again business model for quite some time. The products are apparently made in small batches as needed, there are often "downtimes" and times when the site won't let you stay logged in or let you fill your cart; and there was a notice posted on the front of Fyrinnae's site at one point in late March 2011: "Pixie Epoxy will be available again as soon as possible!" Even though that notice was posted, Pixie Epoxy could still be ordered from the online store (when the store was accepting orders.) In the last days of March, the owner posted a 'state of the union' address to the company blog, clearing up some of the confusion and alleviating a few of the concerns that had been making the rounds of beauty blogs, forums, and Facebook pages. The full-size jars are 5-gram jars with a black-banded clear cap. In one older full-size jar I have, the product came with a sifter seal. In later orders I placed, there was neither sifter nor seal. A label on the bottom of the full-size jars lists product name, ingredients, and quantity. The sample jars are not sealed, but they are labeled with the color name. The samples' label includes the product name, the company name, and the word "Sample" - no quantity, no ingredients. I don't know that either of those pieces of information are legally required for samples, especially free samples; but it would be kind of nice to have. Buy from Fyrinnae at your own risk - not risk of getting inferior product, just risk of not easily being able to buy from them again, risk of their products changing (and thus a color you sampled mine months ago now is either no longer available or has changed color), risk of Pixie Epoxy no longer being available because apparently it's so difficult to make. As of April 2011, my own personal advice is build your own private wishlist, and the next time the site is actually open for business, order everything on your wishlist (or place three or four orders on successive days.) Fyrinnae's products are good quality and excellent price; and Fyrinnae doesn't just take your money and either vanish or let you wonder when you might get your order (like some other companies do.) From what I've seen, they conduct their business completely ethically and honestly, and don't leave people hanging once money has changed hands. But...Fyrinnae has been in business for quite some time, and still appears to use a business model that's wobblier than a newborn giraffe. The cycles of downtimes are worrisome, especially since they seem to happen quite a lot (not counting winter/spring 2011, I've noticed four other "multiple downtime" zones in the past three years, when I'd randomly come to the site and see nothing but a blacked-out screen.) So the product is difficult to make, and you don't like the results when you make larger batches, and therefore you don't make larger batches? Totally acceptable. But build up a larger inventory, so that you can keep making smaller batches and keep the quality you prefer, but don't get backlogged quite so severely. Shut the site down for a week every quarter and just...make several smaller batches of this and that product and build inventory. It's not glamourous, and it's probably boring as hell - but it will take more stress off of the staff, and off of your customers who have to keep playing a manic game of whack-a-mole watching for the site to be open and accepting orders. I do hope that Fyrinnae is able to get its act together and continues to provide their excellent product quality on a steady basis, and is able to start using an easily scalable business model so that as business fluctuates (hopefully grows) Fyrinnae will still be able to provide products of the quality they (and their customers) prefer. The eyeshadows are very lovely, the finishing powders are nice, and I've seen blog and forum comments about their lip lustres, which folks hope they'll bring back. There's definitely a market for their product. I just don't know that I'll be a part of their market. (And yup, this review is kind of a great big "I got mine" type of post. In March 2011 I ordered every color I thought I would want from Fyrinnae's product line, intending that to be my final order from them.) 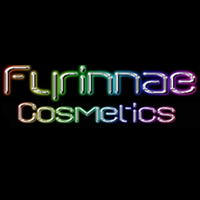 Based on what I've been able to learn of the company's history, I think that Fyrinnae will keep plugging away with a less-than-flexible business model for years to come - they won't necessarily vanish any sooner than they'll streamline their order inventory and processing.